The College of Staten Island honored its top students, with the help of their friends and families, recently at the fifth annual Honors Convocation, which was held in the Center for the Arts Concert Hall. The events’ emcee was Dr. A. Ramona Brown, CSI Vice President for Student Affairs. 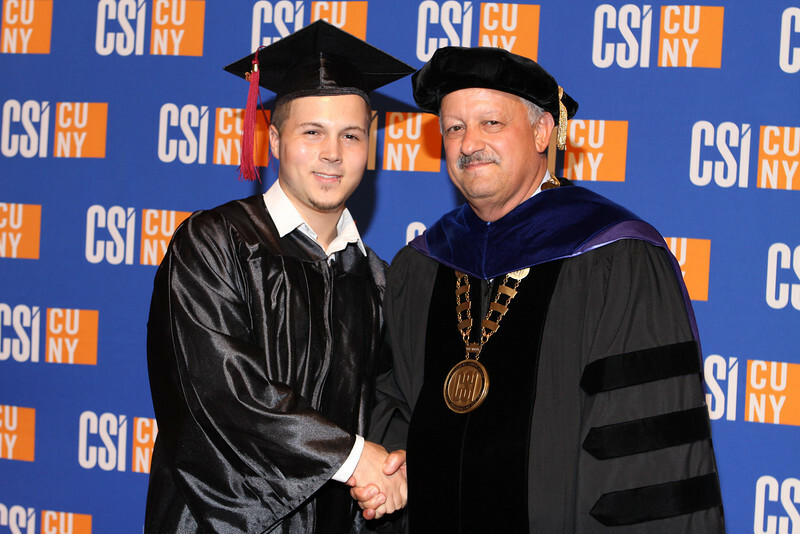 Following greetings from CSI President Dr. Tomás D. Morales and Dr. William J. Fritz, Provost and Senior Vice President for Academic Affairs, the Class of 2012 Salutatorian Daniel Feldman, who will be receiving a BS in Physics, gave the student address.